Yes, “queso” means cheese, but hold the sour cream, the cream cheese, and the shredded cheddar, because this recipe is dairy-free! Instead of being smothered in cheese, this one’s all about the spices and salsa, with avocado standing in as a creamy, dairy-free topping. To really give the chicken its flavor, the recipe calls for some pre-made salsa. You can use any salsa that you like, but this fire-roasted salsa is perfect if you don’t have other plans: the flavor is rich and intense without being overwhelmingly spicy, and if you have any leftovers, you can always eat them over salad or any kind of grilled meat. The beauty of a slow-cooker is the freedom to leave it on all day and come back to dinner, but if you want your chili faster, you can always cook it on high for 3-4 hours instead of on low for 6. This would be a great recipe to fill some cauliflower tortillas, or maybe just lettuce wraps if you need something even easier. Or try it just with a quick side salad: dinner will be on the table in minutes, and you can sit back and enjoy the compliments on your cooking. SERVES: 4 PREP: 20 min. COOK: 6 h.
In a slow-cooker, combine the chicken breasts, garlic, salsa, water, cumin, chili powder, onion, and season with salt and pepper to taste. Cover and cook on low for 6 to 8 hours (or on high for 3-4 hours). Once the cooking is done, remove the chicken breasts. Shred them with a fork, and return them to the slow-cooker. 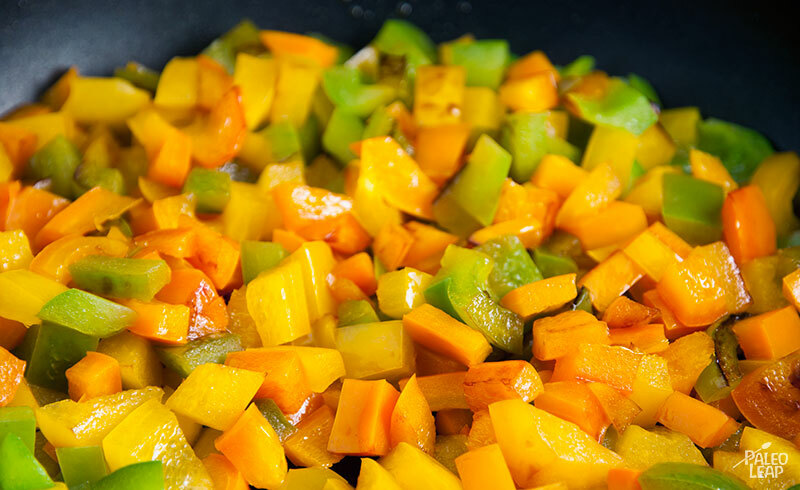 Place the bell peppers and jalapeño in a large skillet over a high heat and cook for 4 to 5 minutes or until well roasted. 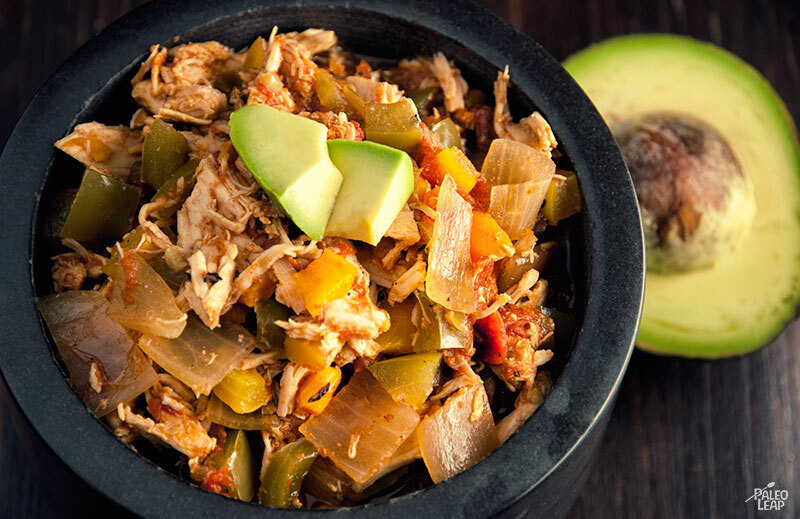 Add the peppers and jalapeño to the slow-cooker. Give everything a good stir and cover. Let the chili simmer for another 20 minutes, and add some water to reach the desired consistency, if needed. Top with avocado before serving.